Since 2003, Pro-Tech Roofing has been serving property owners in and around Tulsa with professional, reliable roofing services. If you need a roofing company in Tulsa, we would be honored to serve you too! Just give us a call at (918) 250-7663! The roofs on Tulsa homes take a beating and are prone to developing roof leaks for a variety of reasons… primarily due to our location right in the middle of tornado alley. Tulsa county gets plenty of severe weather – with big hail and strong winds tearing into on Tulsa homes and commercial buildings each year. We’ve been told that Pro-Tech Roofing is one of the only Tulsa roofing companies that actually enjoys providing roof repair services in Tulsa. We love fixing roofs and helping customers save money! If you see a water stain on your ceiling or if you think you may have a roof leak somewhere, just give us a call. We offer free roof inspections for Tulsa homeowners. We’ll be happy to closely examine your roof and let you know what we find… show you pictures of problem areas and give you an estimate to fix your roof. Our pricing is 100% upfront and 100% honest. So you can rest easy knowing you will get a top-notch roof repair for a fair price from a Tulsa roofing company that cares. We work on all sizes of homes in and around Tulsa county. We also provide commercial roof repair in Tulsa. If your roof can not be repaired, we may suggest a full roof replacement. We’ll go over all your roofing options and help you with material selection and provide a detailed roofing estimate. If it looks like your roof might qualify for an insurable loss due to hail, wind or other storm damage, we will provide guidance with the process of filing an insurance claim and working with the insurance adjuster. A new roof is a vital investment. Your roof protects your home and your loved ones. It also protects the structure of the rest of your house. If a problem roof is neglected, bigger problems will develop as time goes on. 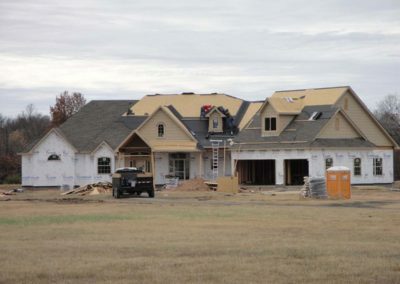 When choosing a roofing contractor in Tulsa, it’s important that you work with a local Tulsa roofing company with deep roots in the Tulsa community. Clean up always – we care for your property and remove construction debris and nails, etc. Tulsa is the second largest city in Oklahoma and the 47th largest city in the country. Tulsa is the county seat of Tulsa county and has been ranked among the “Top 50 Best Cities in the United States” by BusinessWeek. Live nearby? We provide roofing services all over Green Country. 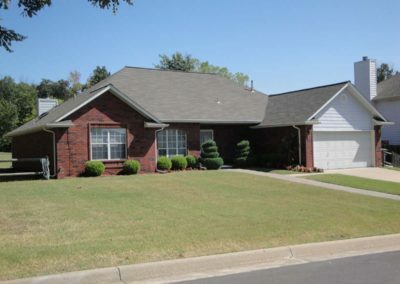 Our experienced team of Tulsa roofers will take excellent care of you and your property, to ensure that you get the best roofing solution for your Tulsa home or business. In addition to Tulsa roofing services, we gladly offer roofing services to property owners in all surrounding communities, including: Bixby, Broken Arrow, Coweta, Claremore, Collinsville, Jenks, Owasso, Glenpool, Inola, Skiatook, Sand Springs, Sapulpa, Grand Lake.